It's also worth pointing out the S10E will only ship with two rear cameras instead of three like on the other two S10s. The latest leak brings more mystery to the final branding of the Samsung Galaxy S10's cheapest variant. These renders also reveal a 3.5 mm headphone jack located on the bottom of the Galaxy S10e. The renders show a phone with a flat display, no curved edges (unlike past S9 and S8 generations) as well as a cut-out hole for the front-facing camera. The Galaxy S10 family is also reportedly in mass production - just weeks ahead of the formal launch that is set for February 20. The supposed Galaxy S10e doesn't appear to have any sign of a fingerprint scanner on the front or rear of the device. An odd choice, to be sure, seeing as how most manufacturers have moved away from this configuration. 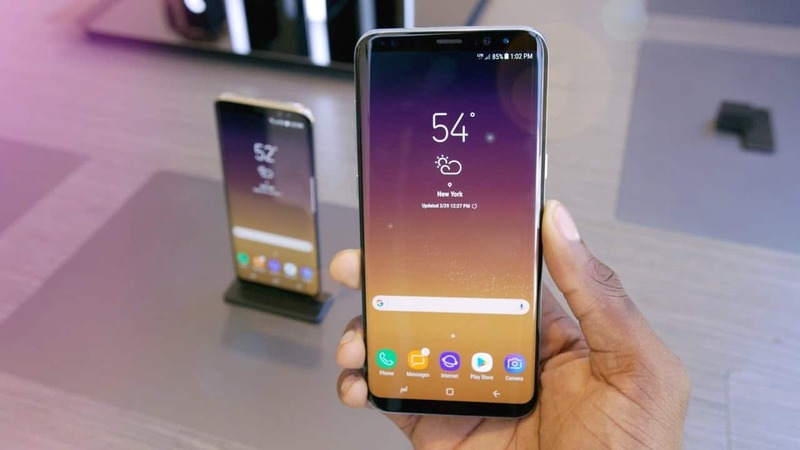 Notably, although the Samsung Galaxy S10e looks nearly like the Galaxy S10 there will be some differences (the phone will be low on specs) here and there with which the company will adjust the price of the phone. Also, it would pack either Exynos or a Snapdragon chipset, but we don't have further details on the specific SoC models that the Samsung Galaxy S10 Lite would equip. The second variant offers 8GB of RAM and 512GB storage (priced 1,149 EUR). As always do not forget to take all information from rumors with a grain of salt. Even still, WinFuture is usually right on the money when it comes to these things, but it never hurts to stay cautious. Reports suggest that the Samsung Galaxy S10 and S10+ will sport 6.1-inch and 6.4-inch display respectively. What are your expectations for Samsung's upcoming flagship? The company has recently reported that the Galaxy S10 went into mass production in the Vietnam plant of the company. As always, if you have anything to share, feel free to sound them off in the comments section below!